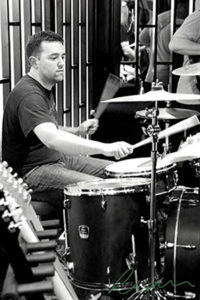 David has BA(hons) in Popular Music and Recording from Salford University. Before moving to the Island, David worked as a music instructor at Stantonbury Campus in Milton Keynes, teaching KS3, GCSE and A level music. David teaches drums, guitar, violin, bass guitar, and music theory. regularly with musicians such as Steve Hackett and Vanessa-Mae.